The gowns of our 2019 Aurora Borealis collection capture Lea-Ann’s celestial inspiration via shimmering color, layers of texture, and a fairy-tale quality that stirs the spirit. 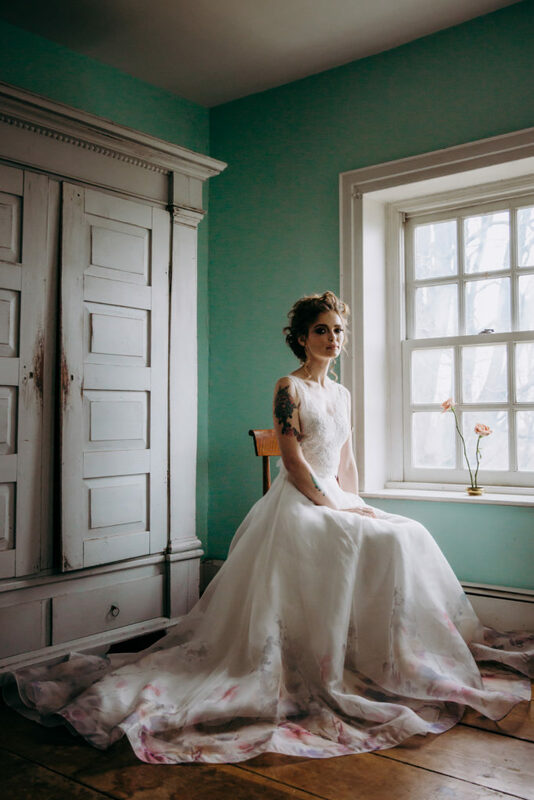 To convey the vibe of these special gowns, we photographed them amidst the moody lighting of Windrift Hall, a historic venue in upstate NY. Florals: Olive + June Floral Co.